My office is in the Greater Fort Lauderdale area. 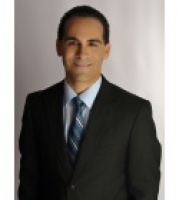 I cover Broward, Palm Beach and Miami-Dade Counties. Relocations, First Time Buyers, Short Sales & Foreclosures. My wife and I have four children. I enjoy spending time with my family, traveling and sports. Hi Luis, I just came across your profile on memberagents.com. I'm interested in purchasing a home in your area and would like to talk to you about possibly helping me find a nice home to purchase. Please let me know if you're available to help out. Thanks!